September is most commonly associated with typhoons in Hokkaido. Memories of Typhoon Lionrock (otherwise known as Typhoon No. 10 in Japan) that wreaked havoc in Southern Furano last September is still fresh in the minds of many Japanese in Hokkaido. However, this year, instead of typhoons, we have a new (or old) threat! That of North Korean dictator Kim Jong-un and his beloved missiles!! We had not one, but two incidents of the J-alarm being triggered as a result of missile tests from North Korea. On both occasions, my mobile phone screamed like crazy and jolted me out of my snooze. The first time it happened, on 28 August, my first thoughts were that a massive earthquake must have occurred in Japan, but after checking my earthquake app, I quickly dismissed that notion and (feeling inexplicably relieved) went back to sleep, only to be awakened by a recurrent “scream” from my device. Confused and a little dazed, I flicked on the TV and to my horror, the words “Missile Alert!” in black and red appeared on the screen – like the subtitles of a horror movie. Now, I’m really scared s***-less because I’ve never experienced anything like this before!!! What was I supposed to do? Where was I supposed to go? Should I still report for work at school today? These thoughts raced through my mind as I glued my eyes to the repeated broadcasts of the missile tests on TV, hoping to glean as much information as I could. I texted my supervisor and Singaporean friends (also ALT teachers like me) in other prefectures, and also posted “I’m safe” messages on Facebook. If the missile had indeed landed on Hokkaido (or anywhere else in Japan), it clearly had not struck my city. Because I was still alive! Thank God for being alive, I thought!! I went through the rest of the workday at school a little shell-shocked if I’m being completely honest. The events of that morning weighed heavily on my mind. At school, however, my colleagues seemed pretty nonchalant to the whole “missile incident”. Are they immune to it? Or are they hiding it too well? Later that day, I learnt from the news that the missile had flown over Hokkaido and dropped into the sea about 1,180 kilometres off Cape Erimo in Eastern Hokkaido. No cause for concern you might say. To put things in perspective, that is roughly the same distance between New York and Atlanta, or between London (England) and Venice (Italy). For the rest of that day, I couldn’t help but think of this: that in the event that a missile did strike my city, or for that matter, anywhere else in Japan, there’s no escape!!! Forget about evacuation, forget about rushing to the nearest building, or an underground shelter. The chances of survival are almost zero!! Less than two weeks later, my phone screamed its head off and woke me up again. A second missile test from North Korea!! Asahikawa 旭川 is the second largest city in Hokkaido, but probably one of the most under-rated ones. There’s good reason to be so – with only a handful of mediocre shopping complexes, and its most renowned attraction being a zoo (the Asahiyama Zoo 旭山動物園), it doesn’t look anywhere like a tourist draw. However, as a gateway to both the Daisetsuzan National Park 大雪山 (one of the most carefully preserved nature reserves in Hokkaido) and the Asahidake Onsen (旭岳温泉), it makes for a convenient base from which to make day trips to these attractions. If skiing is not your thing, take a dip in one of the onsens (there’s 9 in total) along the main road leading up to the Asahidake Ropeway (旭岳ロープウェー). At the Ropeway, a 5-min ride takes you to a breath-taking vista at 2,291 metres above sea level. Because of its relative obscurity, it feels like having the entire mountain / volcano to yourself! Sometimes you’ve got to call a spade a spade. Cast aside all the superlatives dangled in Lonely Planet, ditch the romanticism that hangs like a spectre over this once charming city. Yes, I said “once”. 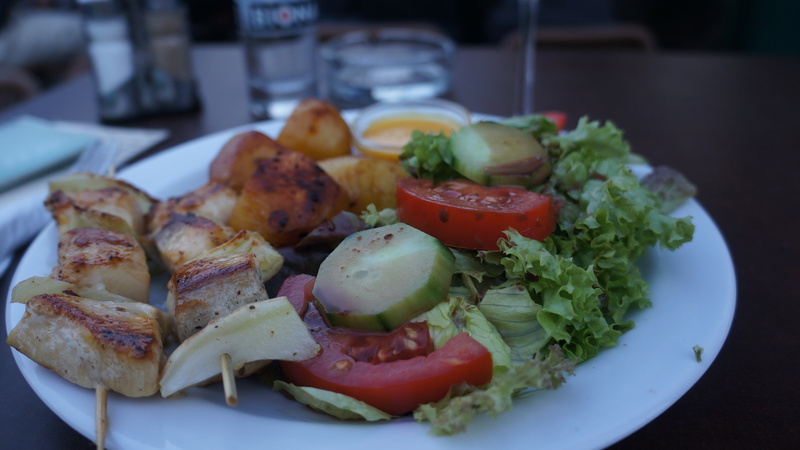 Because Vienna (or “Wien” in German) has, sadly, become as uninspiring as the dry and crummy sachertorte on my plate. Did I mention that I’m trying to chomp down this brick of a cake in the opulence of the Hotel Sacher? The home of THE creator of the original sachertorte. I ditched my original plan to lug three kilos of these chocolate monsters back home as mementoes. At the same time, I’m suffering from “church fatigue”. At first, you just snapped at every single one you see. You admired the ornate interiors, the intricate carvings, the awe-inspiring sculptures of Jesus and his disciples. By this time, however, even the majesty of St Stephen’s Cathedral has lost its draw on me. I just stood in front of the cathedral, wilting in the Viennese summer heat. I decided I needed another round of iced coffee. 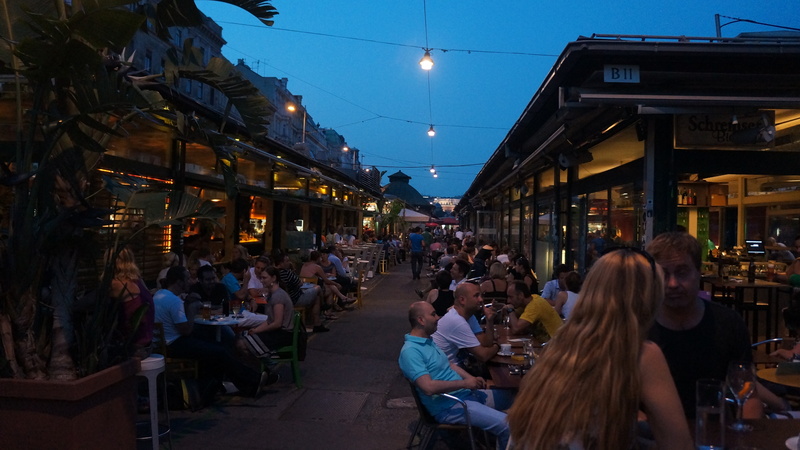 Part of me blamed Budapest – because it’s difficult not to draw comparisons. Part of me blamed the Austrian national football team. 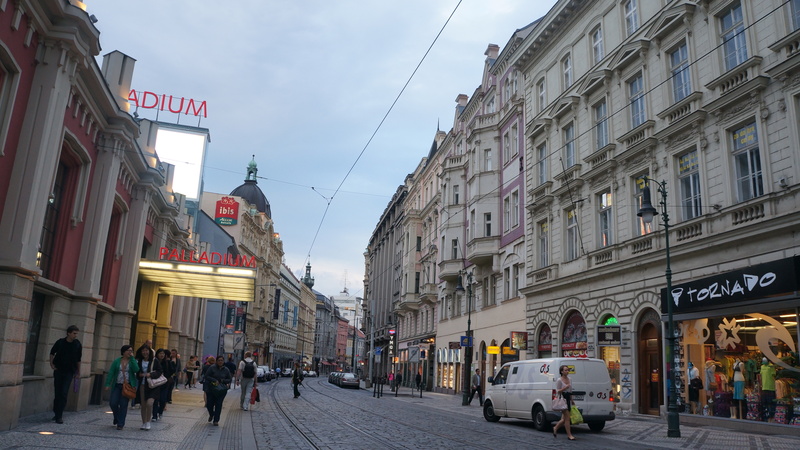 Had they been a bit more adventurous, the streets of Vienna would have been enraptured in football fever. Instead, while the rest of Europe were chugging beer hops and partying to the wee hours, it was business as usual here. So I did something very Austrian. I plonked myself on the grass in Stadtpark – Vienna’s first public park constructed in 1862 – and took snaps of other locals frolicking / making out / reading / chatting on the greens. Then I swear I dozed off for five seconds. 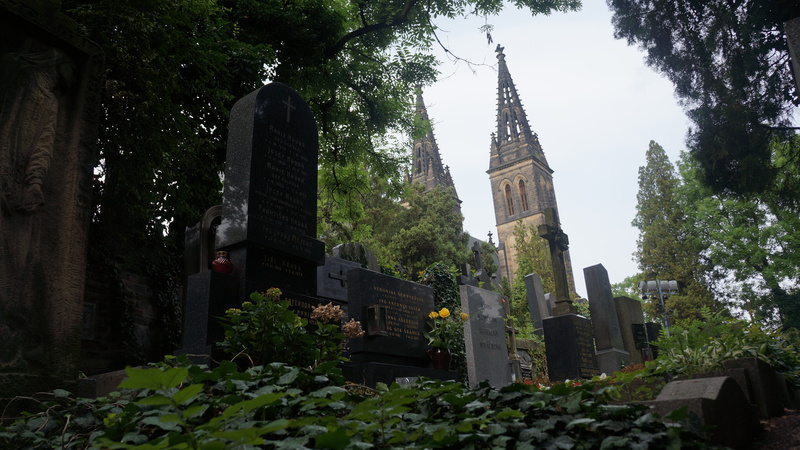 Cemeteries may not be anyone’s idea of a “tourist attraction”. Unless of course, you are one of those paranormal investigators or enthusiasts. However, to me at least, cemeteries can be an ideal place for an early morning amble for some quiet contemplation. And so it was, on the morning before I departed for Warsaw, I reflected on some of my experiences in Prague over the last few days. 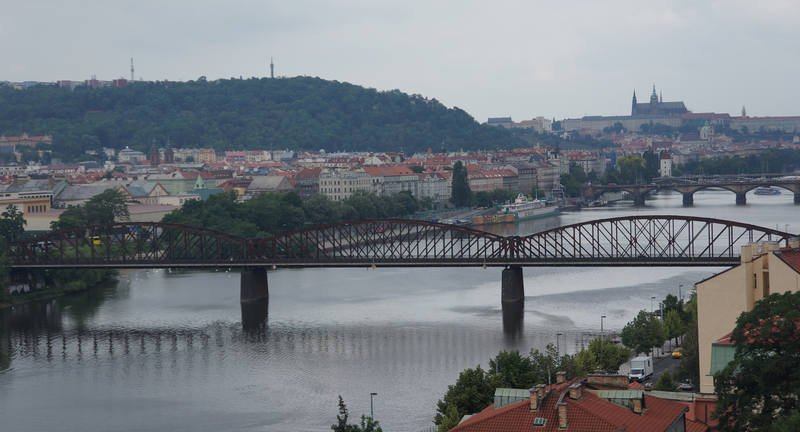 Prague was beautiful, but not spectacular. Something happened on the bus on my way back from Prague Castle that left a sour aftertaste in my mouth, like leftover beer from last night’s party. You see, I was ‘cornered’ by what I believed to be one of those plain-clothes ticket frauds, who preyed on unsuspecting tourists and insisted that it’s mandatory EU law that you carry a valid EU ticket on public transport, subjected to a fine of 50 euros if violated. Under normal circumstances, that wouldn’t even bother me a wimp, but on that day, I just had to forget bringing my ticket day pass (I had absent-mindedly left the pass in another pair of jeans the previous day). Be warned. 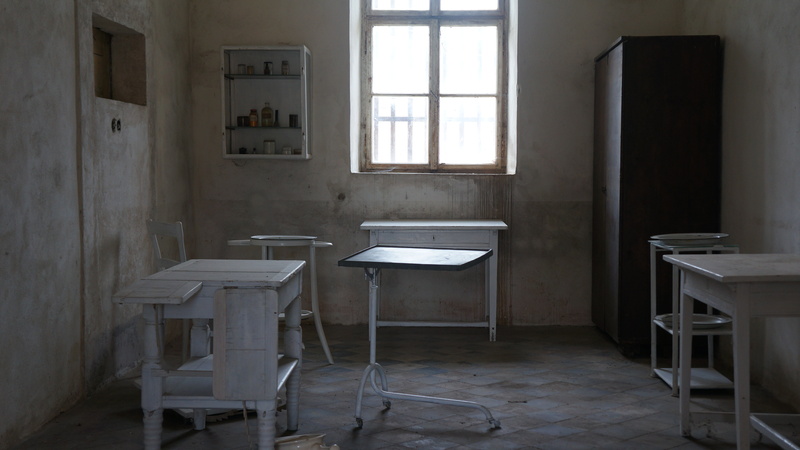 I never intended to visit Terezín. 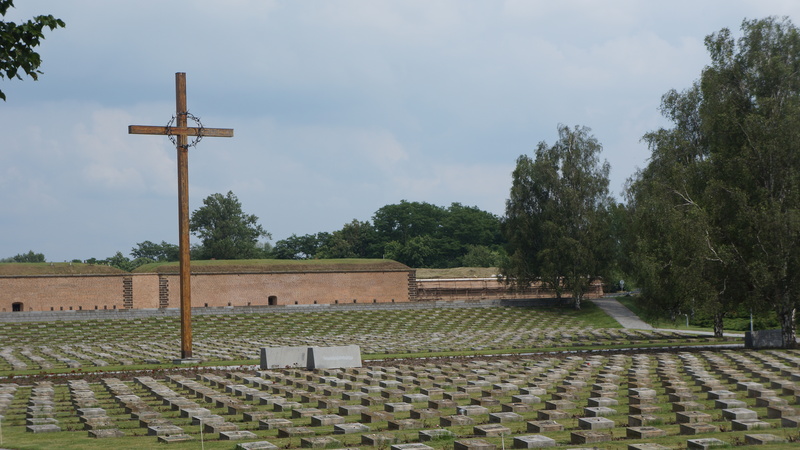 But the visit to Sachsenhausen a few days earlier had left such a deep impact on me that I figured I just might pull it off as a day trip from Prague. From the documentaries I’ve watched, I found out a little about Terezín or Theresienstadt (German). This was Hitler’s propaganda camp – where he attempted to convince the world that the Jews were being well looked after. In fact, he tried to present it as a “model Jewish settlement”. 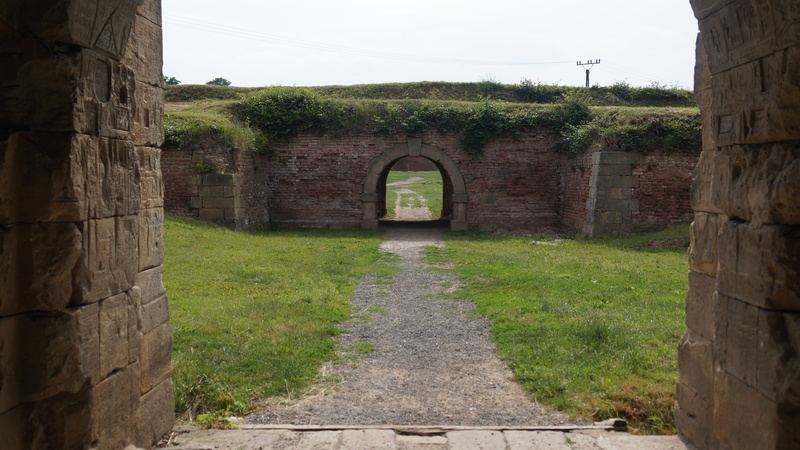 In reality, Terezín was like a “bus interchange” of sorts. 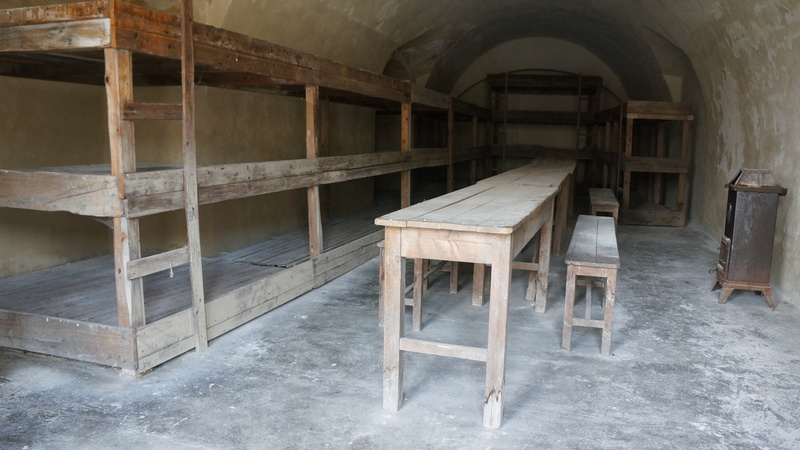 Jews deported here from all over Europe were housed temporarily before being shipped off to other extermination camps like Auschwitz or Dachau. 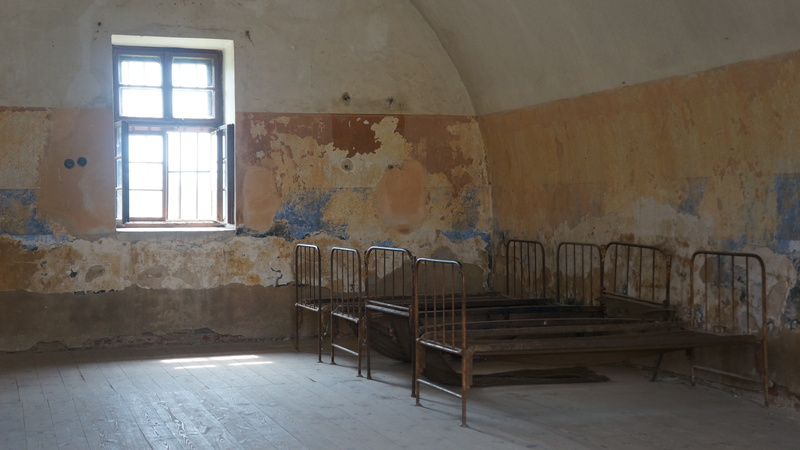 Today, unlike Auschwitz or Dachau, Terezín had not become a major tourist draw. On the day I visited, the place was deserted. Almost serene. Terezín is about an hour’s bus ride from Holešovice train station in Prague. 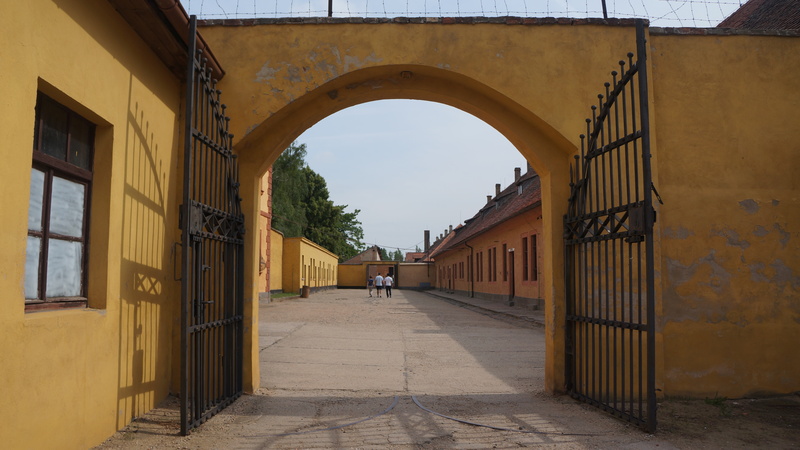 Constructed during the late 18th century on the orders of the Austrian emperor Jospeh II, the fortress of Terezín later served as a prison for military and political prisoners. After the Nazis marched into the former Czechoslovakia, they converted this red brick baroque fortress to house political prisoners. 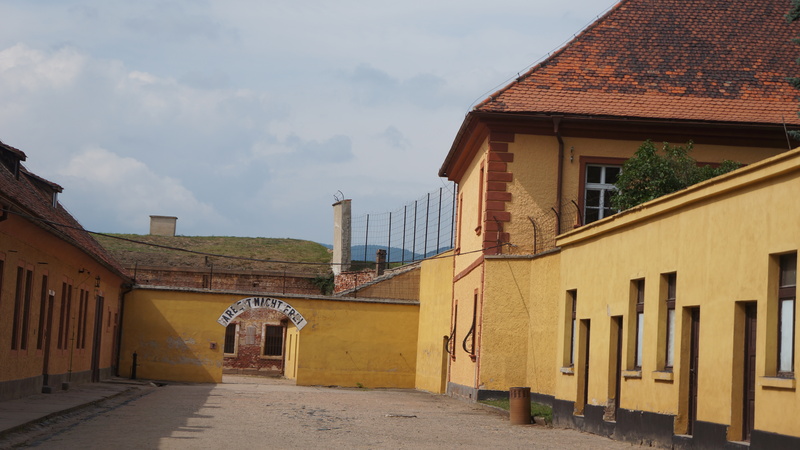 Later on, Terezín became known as an interim camp for Jews en route to other extermination camps in Europe. 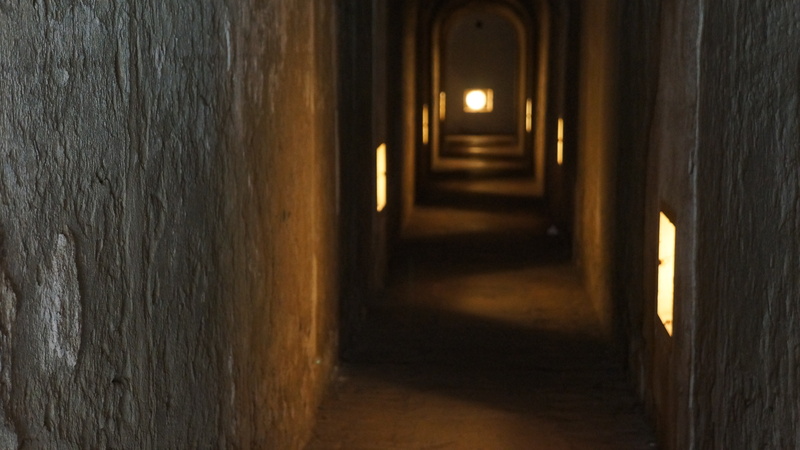 It was estimated that approximately 144,000 Jews had been sent to Terezín. 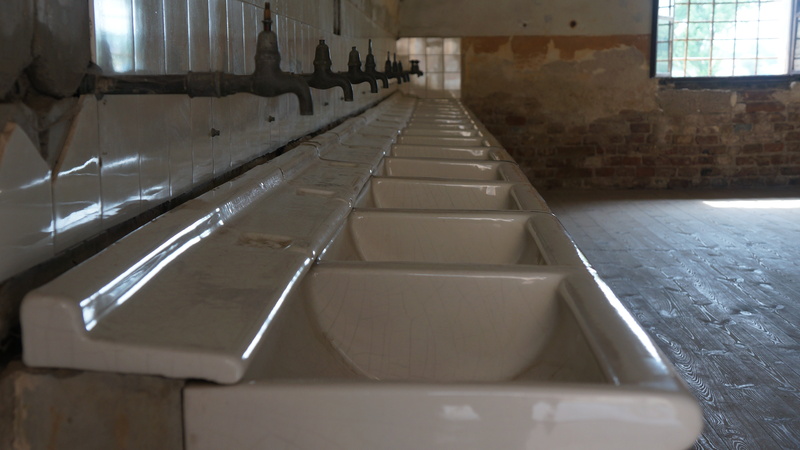 Of these, more than 60 per cent were transferred to Auschwitz and other camps. 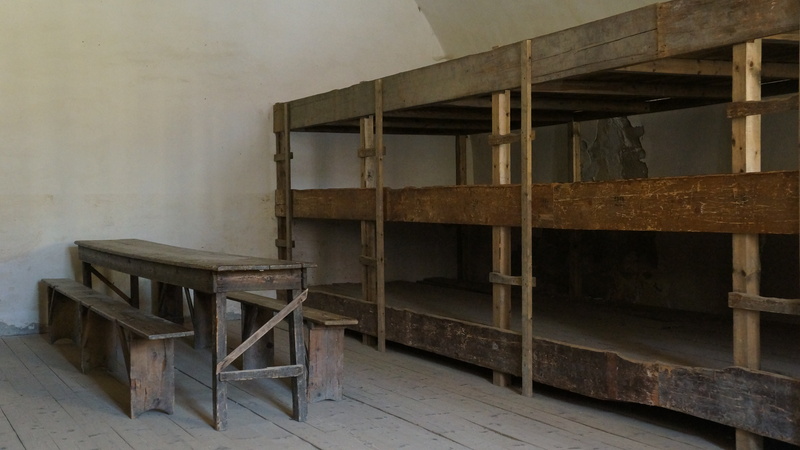 The remaining died in Terezín. 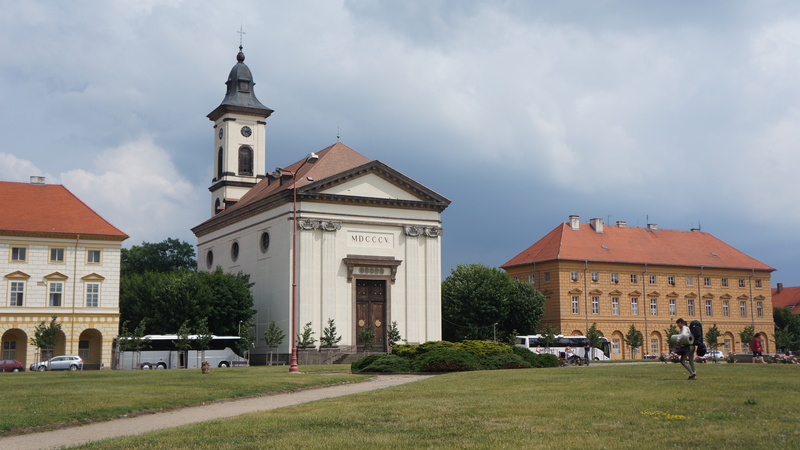 Visitors to Terezín are greeted by an imposing church that stands in the middle of a large field. Inside the Jewish Museum Ghetta (just opposite the bus stop where I alighted), the image of this church was replicated in thousands of children’s sketches and crayon drawings on the walls of the Jewish Museum. Almost all these children had later been deported to Auschwitz and straight to the gas chambers. Almost everyone that stood in the long lines at the Immigration Check-in counter at the Incheon International Airport this morning donned a mask, driven by fears of the Middle East Respiratory Syndrome (MERS). The virus, first discovered in Saudi Arabia in 2012, had disrupted the nation’s economy and claimed 27 lives and infected 172 at last count. 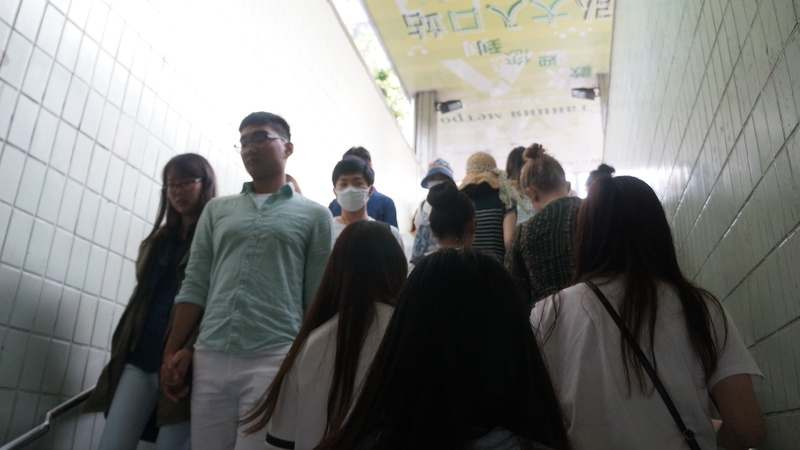 The sudden outbreak of MERS in one of the most sophisticated countries in Asia has caught the nation, and the world, by surprise. On the streets, though, the situation is quite different from the pictures in the media. Life goes on as per normal, and many people do not walk around armed with a mask. Tourist arrivals have plunged due to a spate of cancellations from China, Hong Kong and Taiwan. 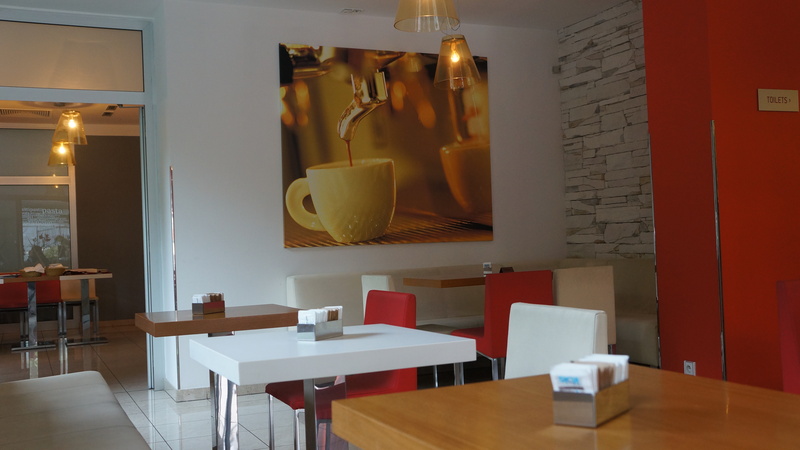 However, in an ironic way, this has made for less crowded shops, restaurants and cafes. 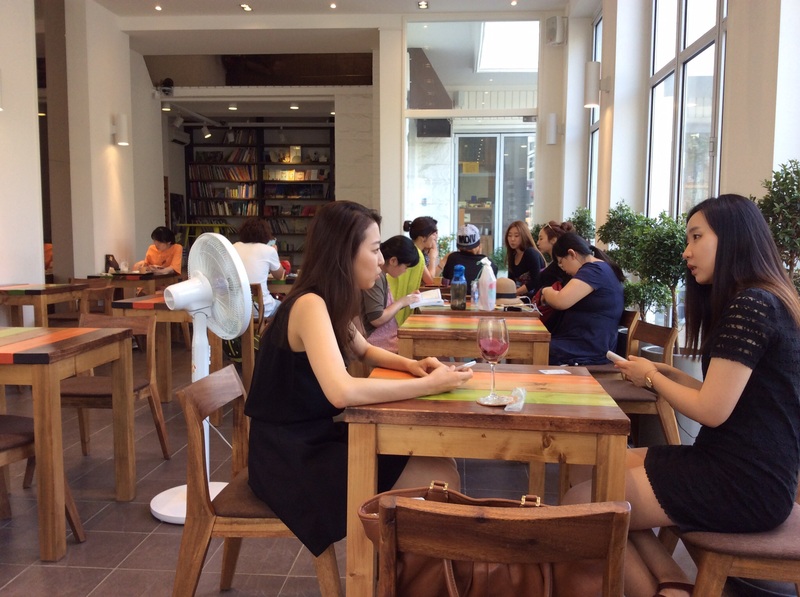 It’s possible to grab a seat even at the most popular joints, and appreciate Seoul sans the tourists. 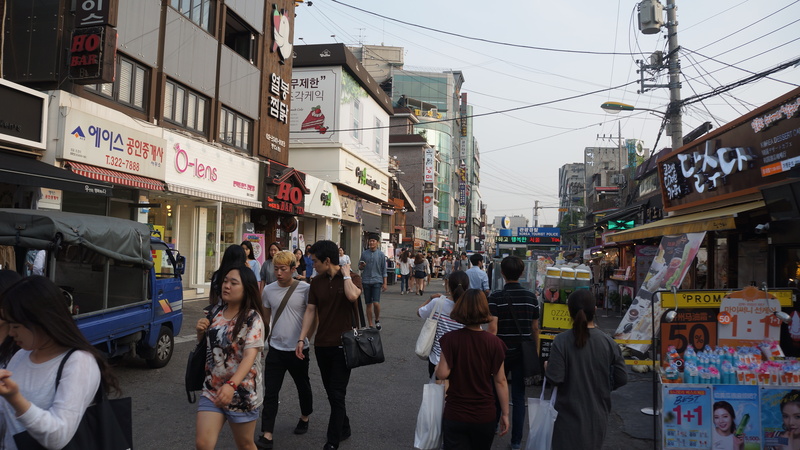 On the streets of Hongdae (홍대 / 弘大), a popular shopping and dining district in the vicinity of Hongik University (홍익대학교), youths thronged the streets and ‘live’ bands played away to huge but sporadic crowds. You would never have guessed that MERS had hit Korea in any way, if you have been here. Hongdae is the playground of the young (and the young-at-heart) in Korea. There is so much to see, shop and eat here. That’s why I always base myself in Hongdae or its vicinity every time I visit Korea. Everywhere you turn, there is so much energy and buzz about this place. 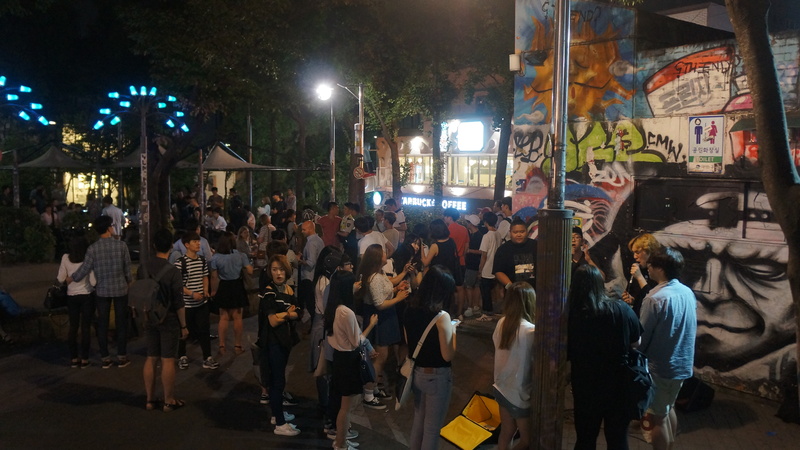 Hongdae is still alive, MERS or no MERS! 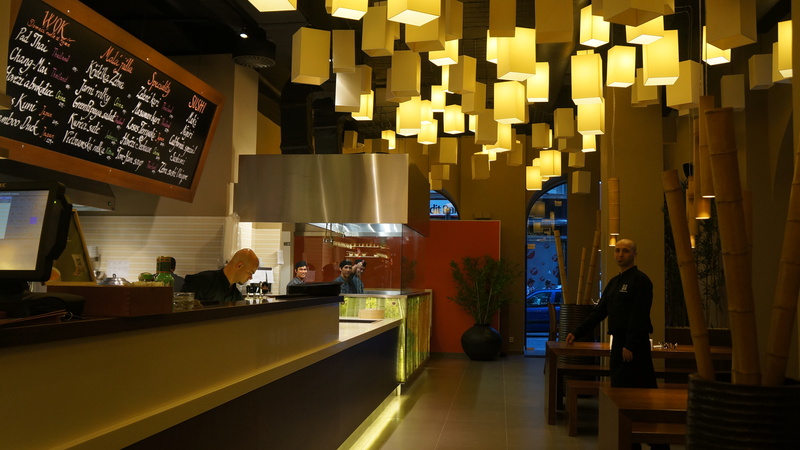 If you’re there, be sure to check out Sobok (昭福), Seoul’s latest dessert craze. 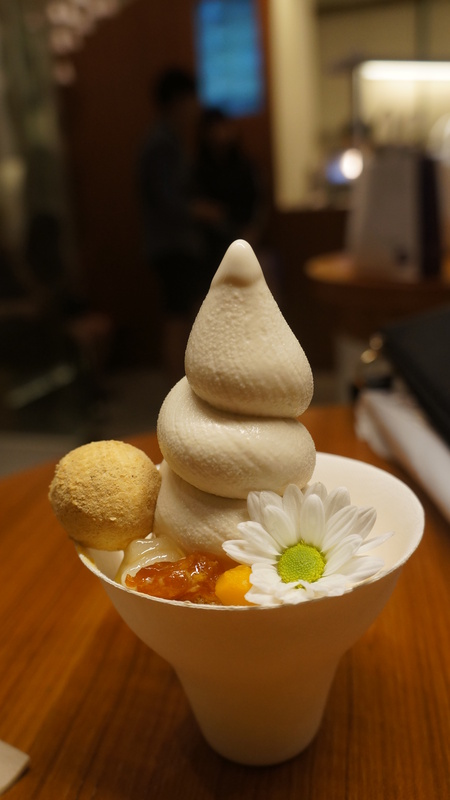 Made from brown rice grains, soy bean powder, with toppings of pumpkin, dried persimmon fruit, rice cakes at the side, Sobok ice cream is Seoulites’ latest indulgence. Its use of all-natural ingredients (which also happen to possess health benefits) makes the perfect excuse to treat yourself to as many as you want, without having to worry about your waistline. Live reporting from Bread Comma, Hongdae, Seoul.